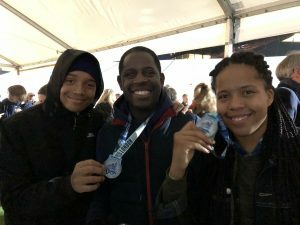 Last week, a family attached to All Hallows attended an event called the London City Swim in order to raise awareness of Motor Neurone Disease and raise vital funds for research. Elizabeth Johnrose (who is in Year 11) took part with her father (Len Johnrose) with Patrick Johnrose (who is in Year 8) providing lots of support from the side, although he has since pledged to take part next year when he will be old enough. 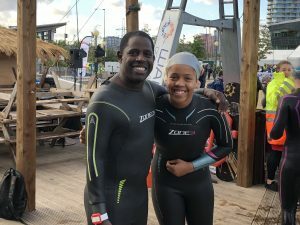 The swim took place in the London dock with the hope of raising £200,000. Elizabeth and Len swam with Lucy Hawking, the daughter of Stephen Hawking. Congratulations to the whole Johnrose family for their part in raising awareness and sponsorship for Motor Neurone Disease.